At Old Dominion Animal Hospital in Charlottesville we love meeting pets so much that we offer a new pet patient coupon! Our staff is dedicated to helping you provide your pets with the best veterinary care available. We encourage you to begin a relationship with our Charlottesville animal hospital today. You can use the new patient coupon below as an incentive. Call us and bring your pet in to meet our veterinarians! Click here for a printable version of this coupon. 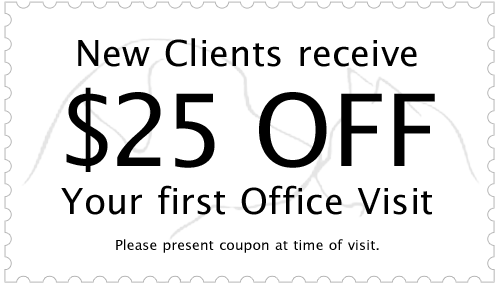 Bring your coupon with you and present it for a discount on your first appointment. Once we have won your respect, you can refer other new pet patient friends to us for even more rewards!